The year 1998 was an odd one for cinema. Consider: A comedy (“Shakespeare in Love”) starring a Fiennes who was not named Ralph won the Oscar for best picture; the summer’s would-be monster hit, “Godzilla,” came and went with nary a roar; and a film co-starring Brett Favre was a surprise smash (“There’s Something About Mary”). It’s also the year that Ian McKellen lost his much-deserved best actor Oscar to … wait for it … Roberto Benigni. 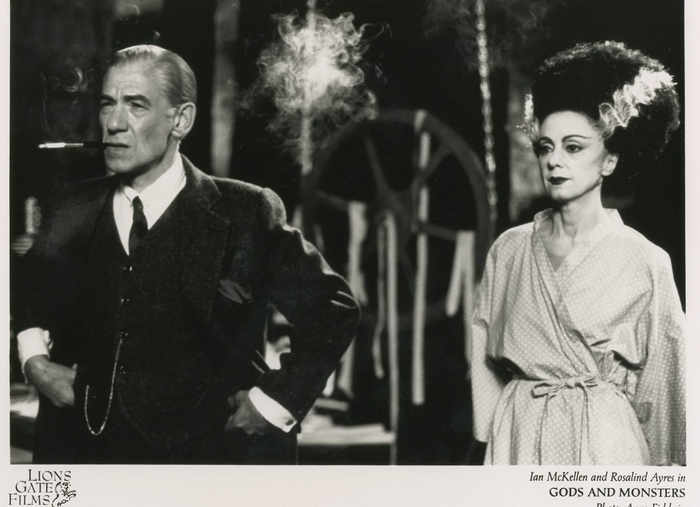 McKellen was never better than he was as “Frankenstein” director James Whale in Bill Condon’s moving and entertaining “Gods and Monsters,” the story of Whale’s complex (fictionalized) relationship with a young gardener (played with surprising effectiveness by Brendan Fraser). “Gods and Monsters” was based on a novel by author Christopher Bram, and Bram is in town at 7 p.m. Monday in Canisius College (Old Main Room 314) for a free screening of the film, followed by a question-and-answer session. Bram will read from his work at the same time and location on Tuesday. Call 888-2408 or visit www.canisius.edu.